Photo credit: Sara Haugland; a werewolf, extra fluffy. A cursed and seductive nobleman has transformed into a loup-garou (werewolf)! He terrorizes a quiet village where almost no one is quite as they seem. To whom will the clever young witch, Alice, choose to pledge eternal devotion? To the werewolf, or the pious falconer? Or will Vincent, a sassy young nobleman, be the one to find true love at long last? 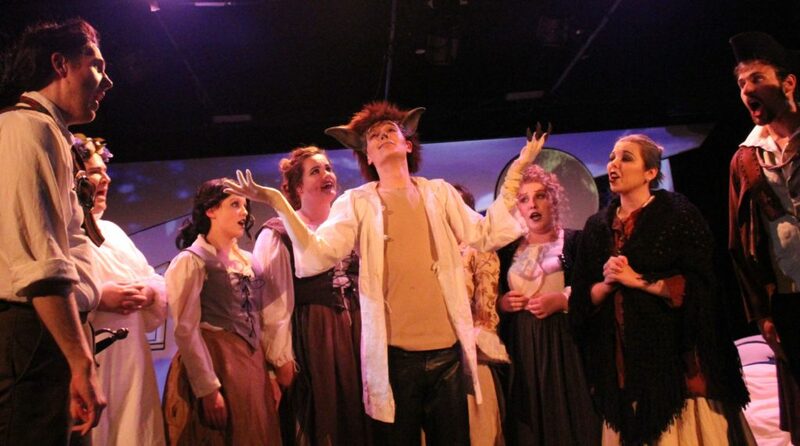 Adapted from Louise Bertin’s 19th century melodrama, Le Loup-garou, with new music by Molly Preston. Visually inspired by early 20th C horror films with set design by Helen McCarthy & video projection mapping by Theresa Silver. Modernized English libretto by Teri Kowiak & J. Deschene. Special opener at every curtain featuring Parlor Opera Players! Pre-show Tarot available from Cali Panesis. 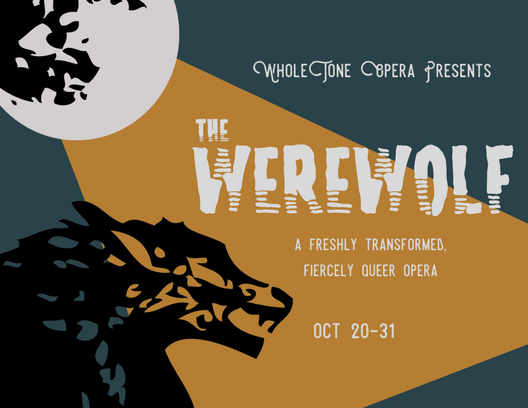 Ring in this Halloween with comedy, horror, gaity, and WholeTone Opera at The Rockwell! Based on the opera by Giuseppe Verdi and Francesco Maria Piave.